Description: “Buster Brown Cigar, 2 for 5 cents”. 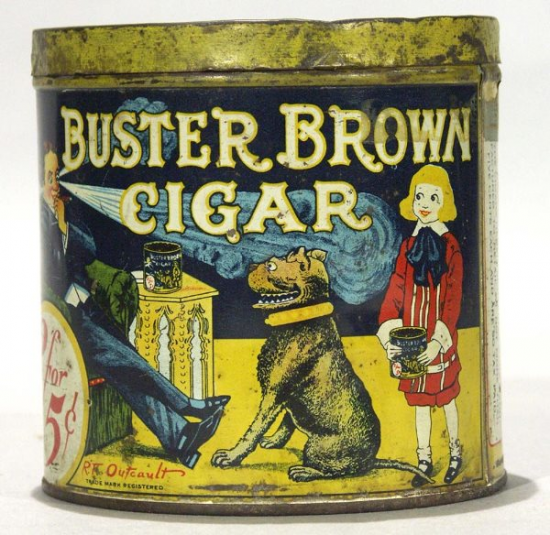 Tin features a scene of a father, Buster Brown and his dog Tige in cartoon fashion. Buster Brown was a comic strip started in 1902 by Richard Felton Outcault.